Are you frustrated with webpage text areas that are limited in size and display/use small text? Now you can make entering text much more pleasant (and easier on your eyes) with the It’s All Text! 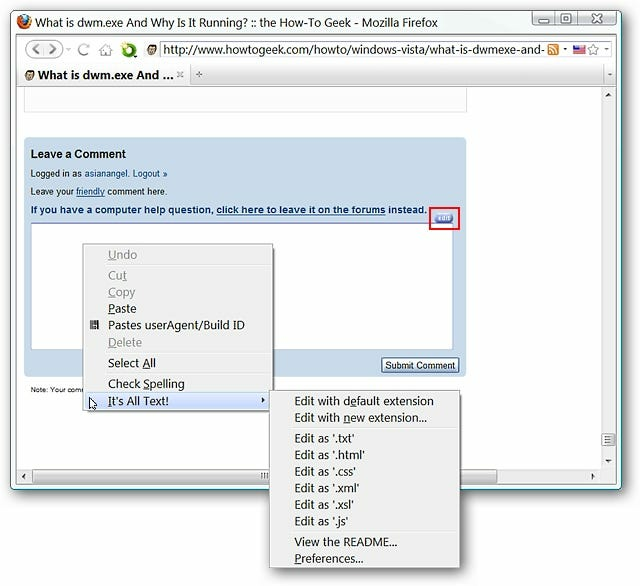 extension for Firefox. 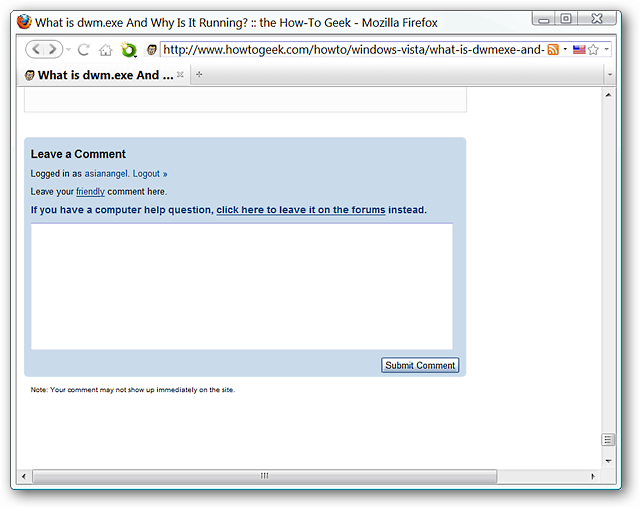 For our example we chose to use the comment text area for a How-To Geek article. At the moment whatever could be typed is limited (in size, etc.) to the text area itself. 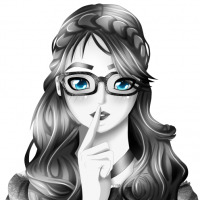 As soon as you have installed the extension you will need to go into the options first where you can browse for and select your favorite text editor. Then it is a matter of making any small changes or modifications that you desire such as preferred “Character Set”, “Edit Button” location, or creating a “Hotkey Combination”. After selecting Editra for our example, we did change the “Edit Button” location and the “Duration of button fade” options. 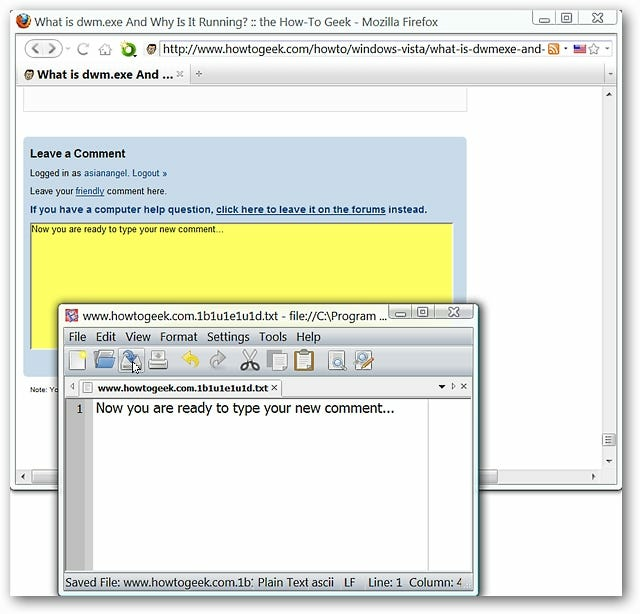 Now back to the original comment text area. 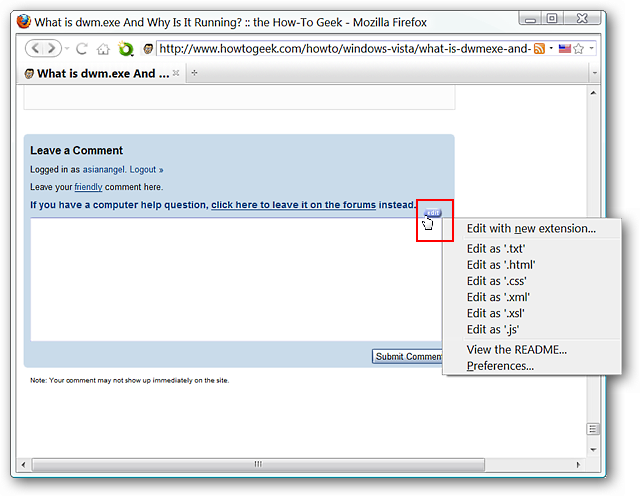 As you can see an “Edit Button” is now visible with a drop-down menu (access with a right click). 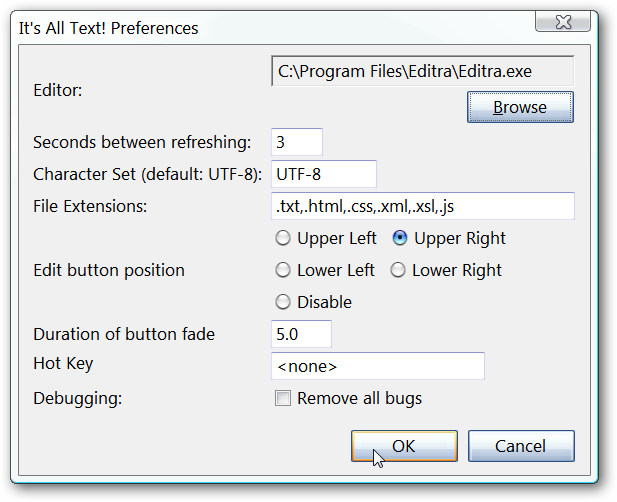 Clicking directly on the “Edit Button” will open up the text editor that you chose in the options. Once your favorite text editor has been opened and you have finished typing, how do you get the text into the comment area? 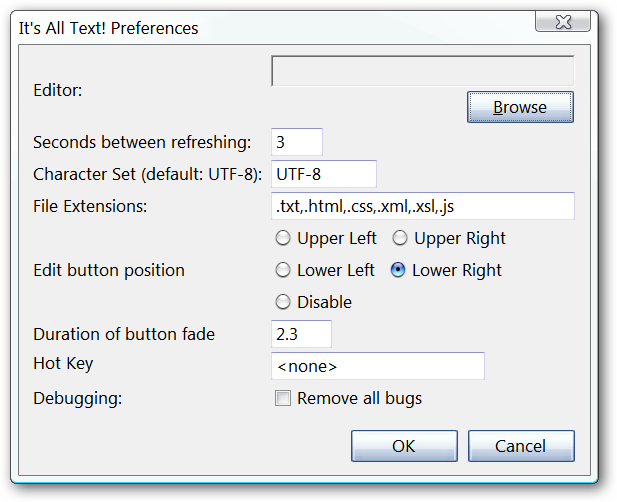 Simply click on the appropriate “Save Button” for your text editor to transfer the text. The text will appear in the comment area with a temporary yellow background color (fades very quickly) to signal a successful transfer. Afterwards you can close your text editor and click the appropriate “Submit Button” to finish up. 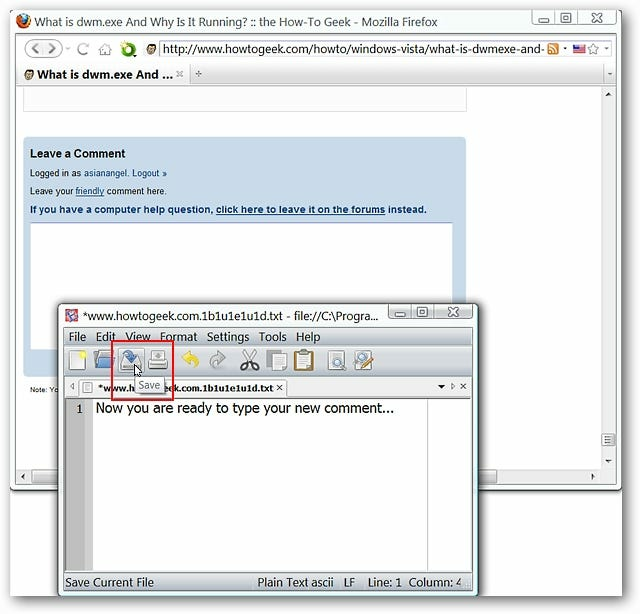 If you have felt frustrated with the limited area and smaller text size of comment areas at different websites, then the It’s All Text! extension will be a pleasant change and make commenting and entering text much easier on your eyes.